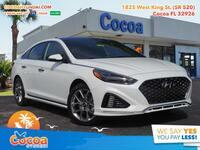 The midsize sedan segment is perhaps the steepest on the market, filled with excellent choices for any buyer, but we obviously have our preference. We thought we’d pit that preference, the 2018 Hyundai Sonata, against what is probably considered its biggest competitor to show you why we think it makes a better option. We’ll take a look at some of their differences and advantages over the other, and let you make your decision from there. Many people might think that Accord has been around far longer than the Hyundai Sonata, but in actuality the Sonata made its way to America in 1988, only just over a decade after the Accord was introduced. 18.5 gal. Fuel Capacity 14.8 gal. 106.0 cu. ft. Passenger Volume 106.0 cu. 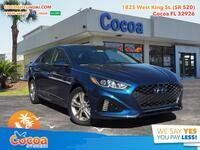 ft.
As you can tell after just one glance at the table above, these two sedans are extremely comparable to one another, showing just how competitive the midsize sedan segment is. We’ll start from the first row of the table, which analyzes the Manufacturer’s Suggested Retail Price (or MSRP). 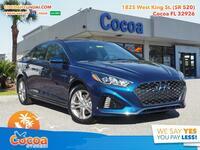 While the likelihood that the MSRP is the exact price you’ll pay for either vehicle, the fact that negotiations start out $1,520 lower for the Sonata than the Accord means you’ll probably save a lot of money purchasing a Sonata. The next two rows focus on efficiency. Unfortunately, the Accord manages to achieve 3 miles per gallon more than the Sonata on average across city streets and the highway. 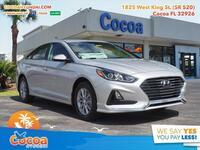 However, the Sonata offers a fuel tank that holds 3.7 more gallons of fuel than the Accord. That means while the Accord might save you a bit of cash in the long run, you’ll have to stop at gas stations much less in the Sonata. The final row is just another example of how similar these vehicles are, as they both offer the exact same cabin space to passengers. 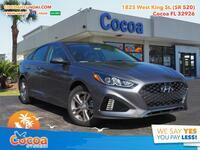 If you’re interested in a 2018 Hyundai Sonata of your own, be sure to get in touch with us!